Nestled in the heart of Southern Ontario, Pat & Hank’s Fish and Chips has become a staple of family nights in or out. A lot has changed since 1955, but one thing remains the same – our famous fish and chips. Pat & Hank’s was built on the promise of quality seafood and for nearly 70 years we’ve delivered on that promise. 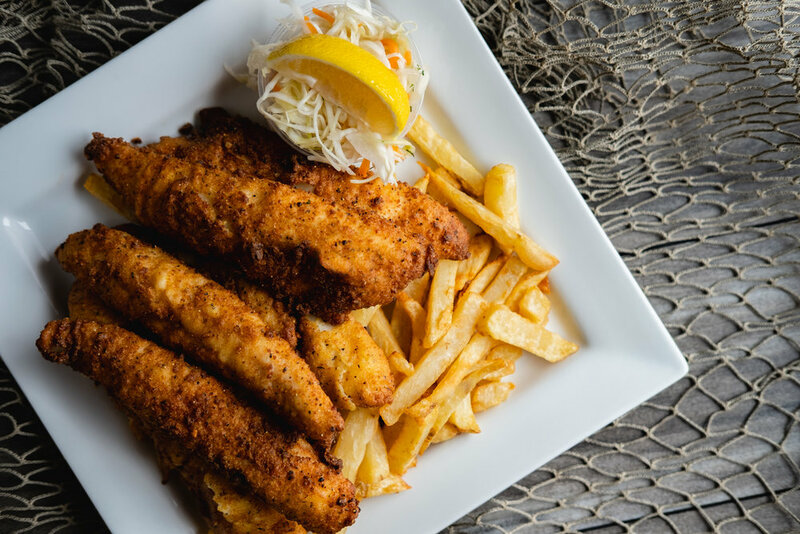 Our fresh cut fries are prepared daily, our signature coleslaw is made in-house, and we still go to great lengths to serve quality fish and seafood. From our famous Halibut Fish & Chips and haddock dinners, to flat top burgers and chicken fingers that will satisfy even your pickiest eater – our two locations serve classic comforts in a family style diner, where there’s always room for one more at the table. Watch for a new weekly special every Friday. 3 piece Alaskan Pollock, 2 piece Haddock, 2 piece Cod, 1 piece Specialty Cut Halibut, or Chicken Finger Dinner. Every Wednesday is Senior’s Day! All seniors enjoy 10% off dine-in orders on regular priced items! Enjoy your favourite fish battered, lightly breaded, or grilled. 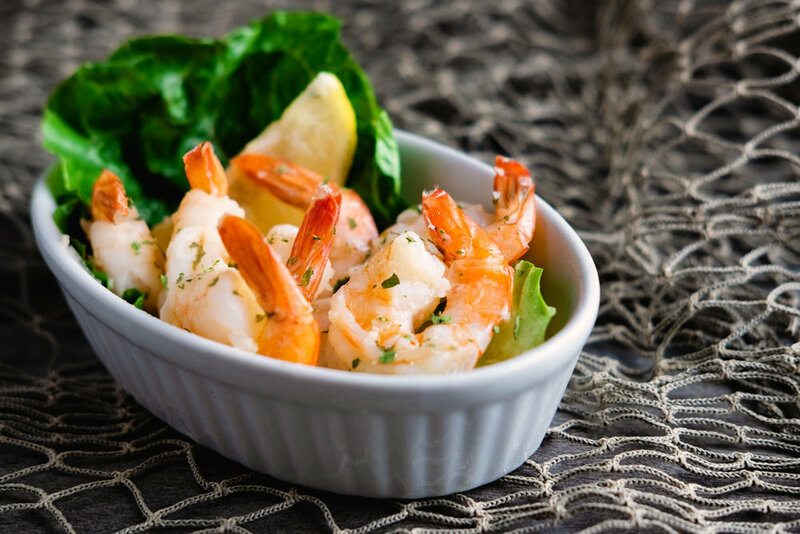 All fish dinners, seafood entrées, and classic menu items are served with a roll, coleslaw, and your choice of fries, baked potato, rice, or veggies. Substitute sweet potato fries, salad, or onion rings for only $2. Large fresh shrimp sautéed in garlic butter. Eight large shrimp, garnished with our tangy seafood sauce. Crispy golden deep fried clam strips. Coconut breaded shrimp fried golden. 1/2 pound of everyone’s favourite popcorn shrimp. Fried golden and served with our tangy seafood sauce. Freshly harvested mussels sautéed in a rich garlic butter sauce. Our house made seafood chowder. Lettuce, tomato, carrot, shredded cabbage, and cucumber served with your choice of dressing. Romaine lettuce tossed in a creamy Caesar dressing topped with bacon bits and croutons. Our halibut fillet has made Pat & Hank’s a recognized household name since 1955. Three fillets of mild, flaky Alaskan Pollock from the Pacific Ocean. Served all day every day! A succulent Alaskan Pollock fillet served golden brown. A slightly sweet whitefish with a firm but delicate texture. A delicious fillet with slightly sweet under tones.. Same great taste as our Original Halibut Dinner at roughly 3/4 the weight. A Specialty Cut Halibut fillet, on a warm kaiser and topped with fresh lettuce and a side of our homemade tartar sauce. A Specialty Cut Halibut fillet paired with our tasty Cod fillet. Our Specialty Cut Halibut fillet served alongside eight crispy breaded shrimp. Six Perch fillets breaded and fried to perfection. Breaded scallops, battered shrimp, seafood legs, and one Specialty Cut Halibut fillet. Ocean fresh butterfly shrimp breaded and fried to a delicious crispy perfection. Eight large shrimp battered and fried golden brown. Eight battered scallops fried golden to a sweet and tender finish. A heaping portion of everyones favourite popcorn shrimp. A special blend of crab and tender whitefish battered and fried golden. Finishes with a rich and sweet taste. Tender all white meat chicken strips, breaded and fried to crispy perfection. Add your choice of dipping sauce. Tender all white meat chicken breaded and fried golden brown. Topped with lettuce, mayo and served on a warm kaiser. A seasoned boneless, skinless chicken breast cooked through on our flat top grill. 100% all beef burger prepared on our flat top grill. Topped with the works, melted cheese and served on a warm kaiser. + For children under the age of 12. Take advantage of our famous family packs! Your best value. Each family pack includes 10 fillets of fish, 5 orders of fresh cut fries, 2 large coleslaws, & 5 dinner rolls. Each family pack includes 6 fillets of fish, 4 orders of fresh cut fries, & 1 large coleslaw.